India maybe the hottest retail destination for multinational giants like Careefour and LandMark, however, I bumped into this store “Either OR“ located in Pune and established in 1999 is a unique in it’s kind. What’s so special about “Either OR” ? 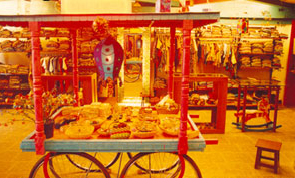 The store conceptualizes the busy Indian street in a very innovative way where more than 75% of Indians shop. You also get the best designer clothes with terrific quality. India doesn’t need gigantic malls. We need innovation in ever aspect of life. We need organization to avoid chaos on our streets and give the Indian shopper a pleasant shopping experience. Cheers and keep Up the Good Work!! !